We were fortunate enough to meet Solidad Arante, Enisa Penosa and Risa Torufiel – three mothers living in Atipolo on Biliran Island in the Philippines – when our ShelterBox team visited the community to see how they were getting on after receiving ShelterKits, solar lights, blankets and water carriers after Tropical Storm Urduja. While there was warning that Tropical Storm Urduja was coming, no one expected it to be as bad as it was. Atipolo is an old river basin, prone to flooding, so each family packed clothes for two days to go stay in an evacuation center but they were not expecting mass destruction. 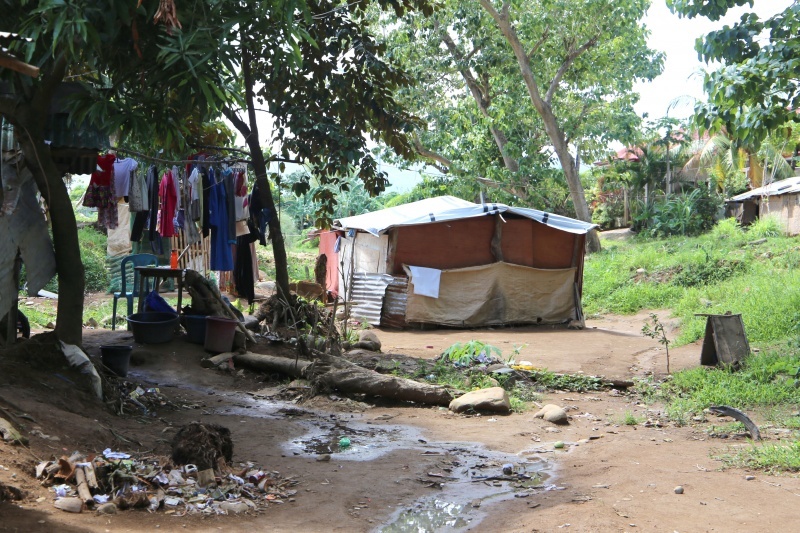 All three families managed to get to the evacuation center, however when they returned home the following day, everything was gone. This is not the first time these families have gone through this either – all three lost everything because of Typhoon Haiyan in 2013 as well. We had to stay in the evacuation center for three days. It was a very difficult time as it was overcrowded, we were only given two meals per day, and had to sleep on concrete benches that were very cold at night. 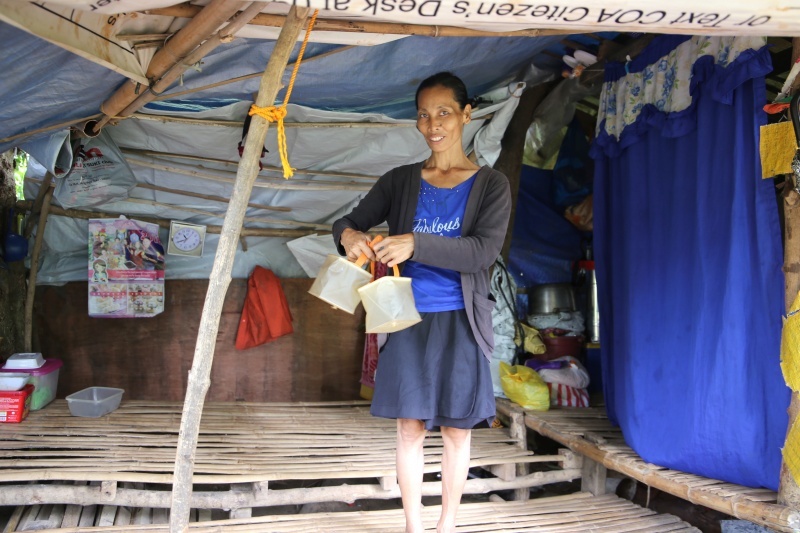 One week after the storm, each family received a ShelterKit, solar lamps, water jugs and blankets. They showed us their solar lights charging on the shelters they have built, remarking that they have been so helpful because there is no electricity here anymore. Risa commented that the tarps are very high quality and have been so helpful to rebuild. Atipolo has been designated a no-build zone, meaning that these families will have to move elsewhere to rebuild permanent homes. If they do not relocate, they will not be eligible for any government assistance in another storm. Solidad said the ShelterBox aid has been so helpful, and the ShelterKit materials can be used again when they relocate. Thank you so much for the very big help.